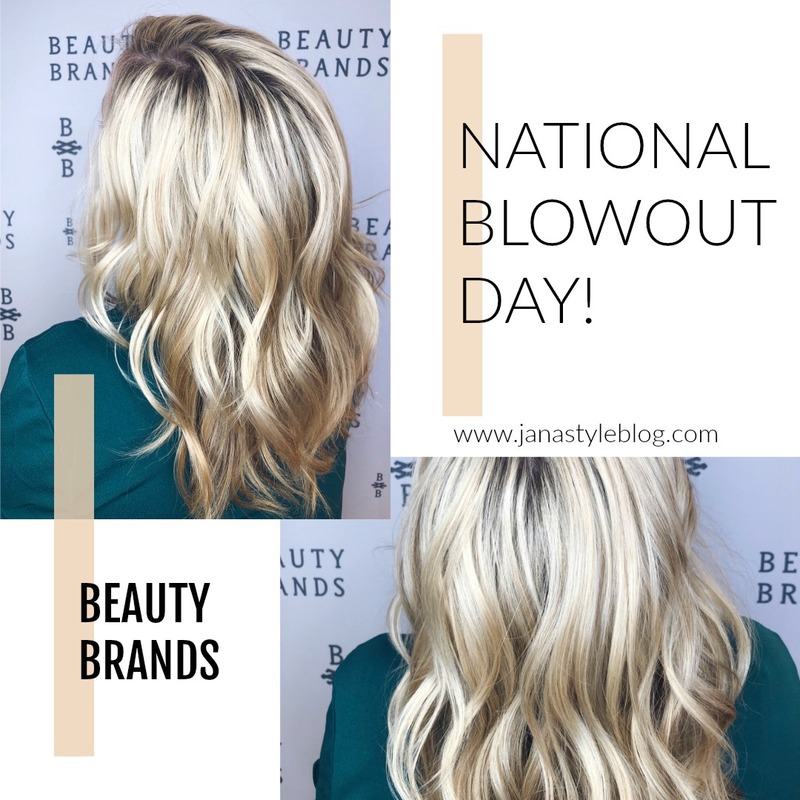 This week I got a chance to stop into Beauty Brands at Summit Fair for a Blowout for National Blowout Day. What is a blowout? A blowout simply means styling your hair with a round brush as you blow it dry -- no curling iron or flat iron needed. Even better, a blowout is built to last! *A blowout can last 3 to 5 days, depending on your hair type. That means less time spent in the mornings on your hair. *It also means less heat damage and stress to your hair, which helps keep your color vibrant and your hair healthier. *Beauty Brands stylists start out by washing your hair and massaging your scalp to remove product buildup and prevent flakiness. Then based on your desired look, our stylists are professionally trained on which brushes to use, how much tension to put on the hair and which angles to turn the brush and blow dryer. They touch every last strand of your hair, so you don’t have to worry about what the back of your head looks like. *Perfectly styled hair makes you feel great and ready to take on the world! Who doesn’t want to feel that way? *Designed to maintain healthy and styled hair in between haircuts and colors, a blowout will set your style for longlasting gorgeous hair. Not only does a blowout make you look good – it makes you feel good! o Don’t be shy about touching up the hair by your face or on the top of your head. You can use a flat iron to help smooth, or blow dryer to help with volume and create fullness. Book Your Blowout at Beauty Brands Today! Get 20% OFF a Service ----> HERE! I LOVE your blowout Jana!! So cute! I keep telling myself I'm going to go get a blowout. I need to try one from Beauty Brands! You can never go wrong with an amazing blow out! Looks so good! So gorgeous! Love the blowout! I don't do them too often but when I do I always feel fabulous!